A great and very efficient way to use a Layer Cake of pre cut 10” fabric squares. The pinwheels are quickly stitched and then the blades curved and embellished. The curves look cleverly pieced and are guaranteed to succeed every time. The pinwheel ‘waste’ is used to make the borders. 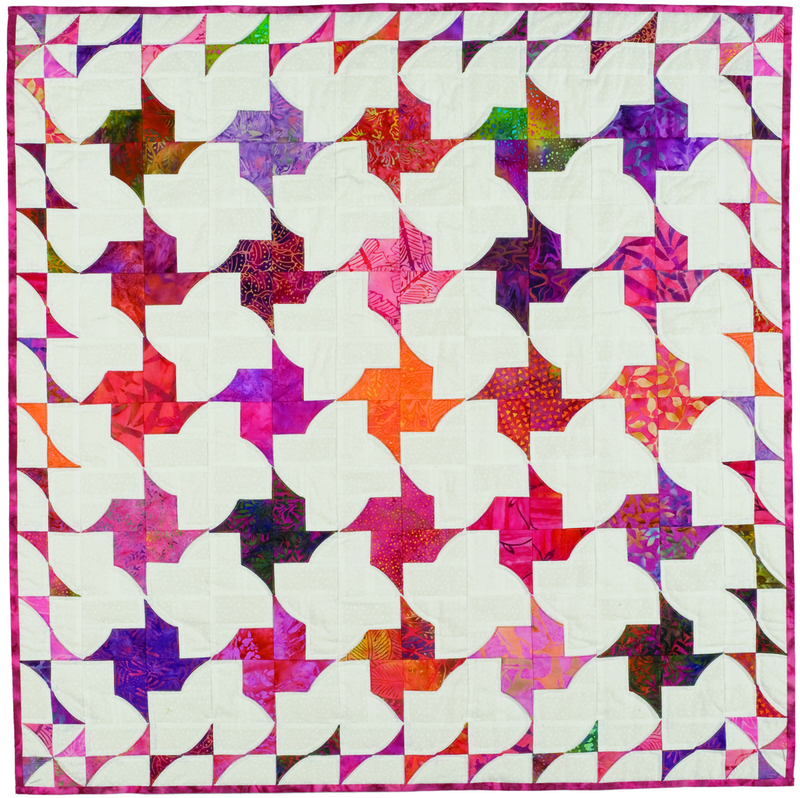 Making this block produces both the pinwheel and small triangles ready for use in your border – two for one! We will also look at other attractive borders which can be made from the same patchwork units. This is a great class and was inspired by the annual UK 5 November Fireworks night. This commemorates Guy Fawkes who nearly managed to blow up our Houses of Parliament in 1605.